Japanese company Genepax presents its eco-friendly car that runs on nothing but water. The car has an energy generator that extracts hydrogen from water that is poured into the car’s tank. The generator then releases electrons that produce electric power to run the car. The electric powered car can run on any type of water (you can even use tea and soda…etc). The car can run for an hour at about 50 miles per hour on just a liter of water; about 2 cans of soda worth. Genepax, the company that invented the technology, aims to collaborate with Japanese manufacturers to mass produce it. Unlike other electric cars, the Genepax car does not require that batteries be recharged and has no emission. The water electrical generator is located in the back of the car and when water is poured it is then broken down in order to create electricity to power the car. Imagine what such a generator could do to the oil industry, the nuclear plants and the electrical grid. That story broke in 2008. Today Japan is producing hydrogen fueled cars – the Honda FCX Clarity. Combine the technology of Genepax with the technology of the Honda FCX Clarity and you have a full production vehicle that uses no gasoline. No gasoline combustion means zero emissions. In 2010, it is reported that there are a total of 50 FCX Clarity available for lease in the U.S with a target to have 200 available world-wide. The Honda FCX Clarity fuel cell-electric vehicle has been chosen to be the pace car for the opening race of the 2011 IZOD IndyCar Series, from 25-27 March 2011. This is the first-time a hydrogen-powered vehicle will pace an IZOD IndyCar Series race in the United States. Propelled by an electric motor that runs on electricity generated in a fuel cell, the FCX Clarity’s only emission is water and its fuel efficiency is three times that of a similar-sized petrol-powered automobile. The FCX Clarity’s performance and acceleration are comparable to a 2.4-litre, 4-cylinder engine with an EPA certified range of 240 miles. The compact and powerful Honda V Flow Fuel Cell Stack allows for unprecedented spaciousness and a futuristically stylish, low-slung design and spacious interior. Since the vehicle’s unveiling there were nearly 80,000 people around the world who expressed interest in owning a FCX Calrity - 80,000 people who won’t be buying any more gasoline once they take possession. What tripe. How is the "water electrical generator" itself powered? Yes, you can release hydrogen from water using electrolysis - but you lose more energy than you make. Investment scam! *Sigh* Your knowledge is decades out of date, yet even in the 1980s we watched a car driven for 1,000 miles on 1 quart of water. As for your 'investment scam' allegation, they never asked for investors or any money from anyone. Please do some basic research beyond TV and brainwashing institutions before commenting on topics about which you know nothing - that's called misinformation or disinformation; take your pick. 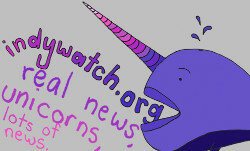 See us on Facebook - More posts! Welcome to the new Enlightenment, an era when suppressed science, hidden history and the enlightening nature of reality are all revealed to those with eyes to see and ears to hear. 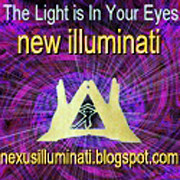 These are the thoughts and ideas of New Illuminati - bold forerunners and pioneers of new awareness all over the globe. Notes on new emerging paradigms from the NEXUS New Times Magazine Founder R. Ayana, who lives in a remote Australian rainforest (and is no longer involved with the magazine) - Catching drops from the deluge in a paper cup since 1984. Follow us via Facebook, Google+, Friend Connect, rss, Networked Blogs, Twitter or join the mailing list below for regular updates. We won't use your address for anything else. Please COMMENT at the end of any entry and see the realtime CHAT ROOM below this column, where you can find plenty of STREAMING VIDEOS. Together we can create the best of all possible worlds! 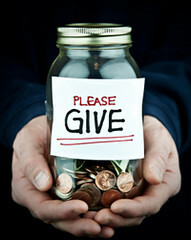 Please Help Us: DONATE & get at least one free eBook! Black Triangles: Cornerstone of USA Space Fleet? Was JFK killed because of his interest in aliens? The Nature of Light: Are We Living in a Telepathic Universe? Is Barefoot Contact With the Earth Necessary For Health? Bloom Box Energy Secret Revealed! Could the desert sun power the world? Is AVIG the first electromagnetic free energy device to make it to market? Power Is Power: Why is plenty of energy never enough? The Hypercar® Concept: What is a Hypercar® Vehicle? You, too, can build this free-energy motor! Air Marshall Sir Peter Horsley Claims He Met E.T. Did a rocket, HAARP or ET/UFOs cause the June 5, 2010 Australian spiral light? Pine Gap's Purpose: Secret Technology & Extraterrestrial Treaty? Secret Space: What is NASA Hiding? The Dropa Stone Disks: Sirius UFO Connection? Are we living inside a brain? ARE WE SANE ENOUGH to FIND REALITY? Can troops find hidden bombs with sixth sense? Chipless Mark Of The Beast? Creator, Judge or Architect? There Is a Sanity Clause! Do ETs Live On Goldilocks Planet? Do Jupiter's Red Storms Signal Massive Climate Change? Doomsday Postponed: Mayan Calendar Dating Wrong? Dr. Wilhelm Reich: Scientific Genius or Medical Madman? Dreams: the stuff memories are made of? Gaia's evil twin: Is life its own worst enemy? Have Scientists Finally Discovered Evidence for Psychic Phenomena? HOW DANGEROUS is MARIJUANA COMPARED with OTHER SUBSTANCES? How Do Changes in Earth's Orbit Affect Long-Term Climate? How much freedom can one man stand? Is DNA the Next Internet? Are humans really beings of light? Is Human Immortality A Scientific Reality? Is the Universe Dreaming Itself? Martian Forest Life & Biodiversity? Mind-altering drugs: does legal mean safe? Multiplying universes: How many is the multiverse? Remember your home phone number? Forget it! Russian scientist: "Consciousness directly influences our world"
Soul Survivor: Could a Little Boy Be Proof of Reincarnation? Space Zen: Will Humans' Brains Change During Travel in Outer Space? The Corporation Of The United States Of America: Is the US Not Under Common Law? The Law That Never Was: Are US Income Taxes Illegal? Thousand Year Zeitgeist: The Utopian Millennium? Top scientist asks: is life all just a dream? Transplanted Personalities: Can Transplanted Organs Carry Remembered Traits? Vote for These Horny Beasts? What's wrong with the sun? Who Wrote the Reptilian Agenda? Your Brain is Not a Computer! !- FOREST ACTION: How to Save the World -! Domesticated Apes or Trained Fish? Space Invaders: Recurring Lessons or Hollow Fears? Third Millennium or Third Reich? Who Let the Gods Out? Who Watches the Watchers? Is freedom the price of eternal vigilance? Is There Life Before Life? NASA's Search for Extraterrestrial Genomes: Is There an Earth-to-Mars Microbe Shuttle? Can a Pill Keep Your DNA Young? Is the Cause of Cancer a Common Fungus? Laetrile (Vitamin B17 or Amygdaline): Why is it Banned? This site may contain copyrighted (© ) material the use of which has not always been specifically authorized by the copyright owner. Such material is made available to advance understanding of ecological, POLITICAL, HUMAN RIGHTS, economic, DEMOCRACY, scientific, MORAL, ETHICAL, and SOCIAL JUSTICE ISSUES, etc. It is believed that this constitutes a 'fair use' of any such copyrighted material as provided for in section 107 of the US Copyright Law. In accordance with Title 17 U.S.C. Section 107, this material is distributed without profit to those who have expressed a prior general interest in receiving similar information for research and educational purposes. § 107.Limitations on exclusive rights: Fair use Notwithstanding the provisions of sections 106 and 106A, the fair use of a copyrighted work, including such use by reproduction in copies or phonorecords or by any other means specified by that section, for purposes such as criticism, comment, news reporting, teaching (including multiple copies for classroom use), scholarship, or research, is not an infringement of copyright. In determining whether the use made of a work in any particular case is a fair use the factors to be considered shall include — (1) the purpose and character of the use, including whether such use is of a commercial nature or is for nonprofit educational purposes; (2) the nature of the copyrighted work; (3) the amount and substantiality of the portion used in relation to the copyrighted work as a whole; and (4) the effect of the use upon the potential market for or value of the copyrighted work. This material is published under Creative Commons Copyright – reproduction for non-profit use is OK. Awesome Inc. theme. Powered by Blogger. All opinions, facts, debates and conjectures xpressed herein are xtrusions of macrocosmic consciousness into your field of awareness. 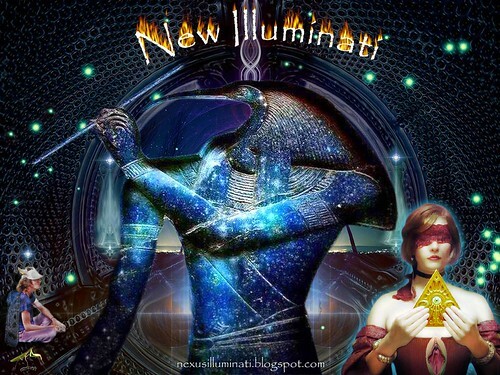 The New Illuminati are not to be held responsible or accountable for flashes of insight, epiphany, curiosity, transformation or enlightenment experienced by any person, human or otherwise. Konx om pax. Khabs am pekht. Light in extension. Reclaim the light in your eyes! WARNING: Remember to remove the screens from your senses after viewing. Get in touch with (your true) nature NOW!